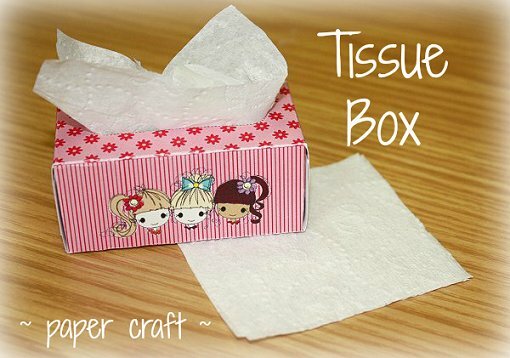 Every girl needs a tissue box when she has the sniffles and that is why we have today's project! All you need to do is print, cut, fold and stick! 1. Print your file. You can pirnt the pink or green box or both! 3. Fold along the lines. 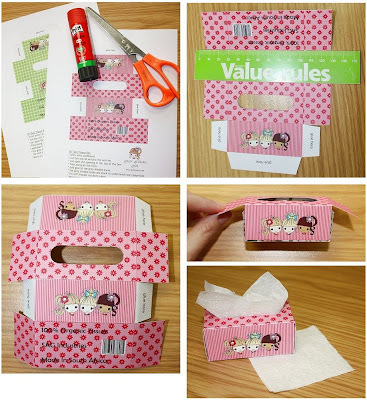 Use a ruler and press the paper up against it for a neater fold. 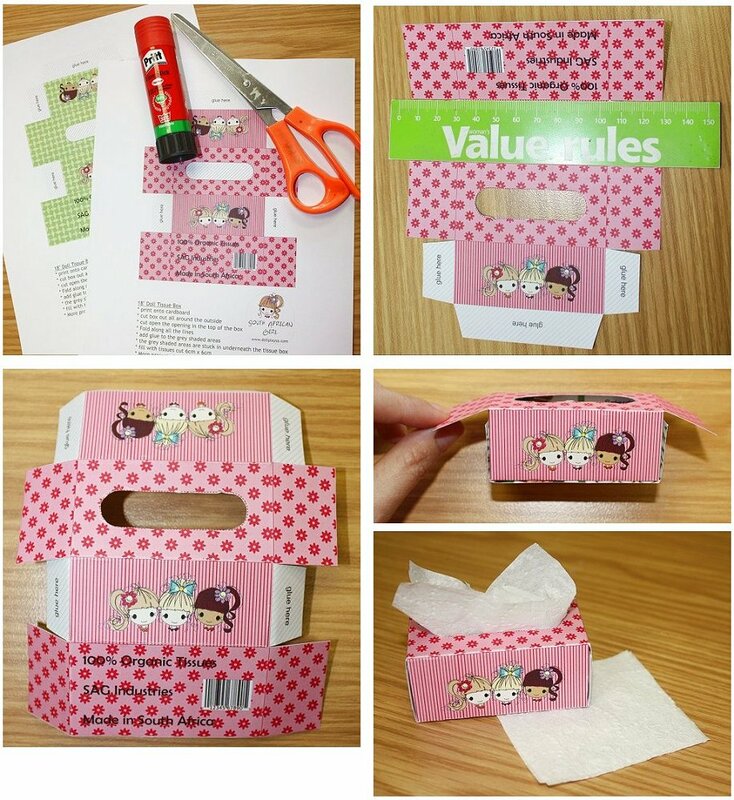 Fold all the pieces to the inside of the box. 4. Put glue on the gray areas and fold and stick. Keep the top side flaps "in the air"
6. Fill up with tissues and you are done!